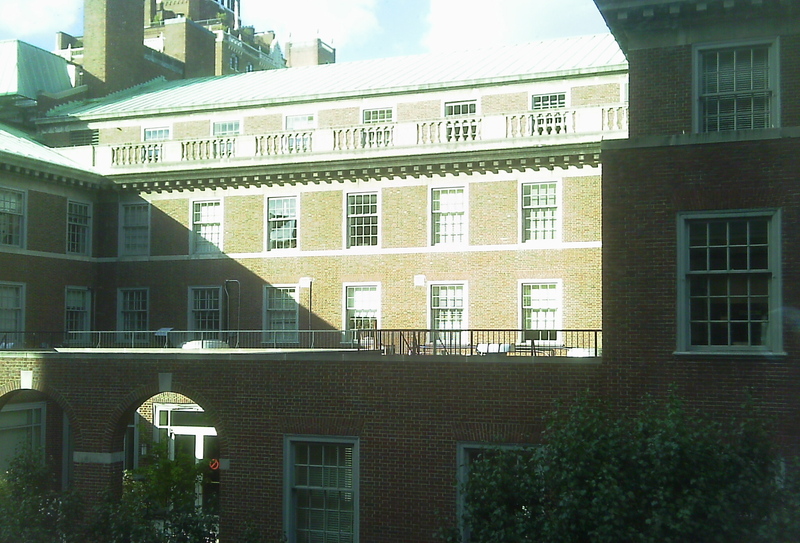 These first two are from my bedroom, towards the other law school buildings. 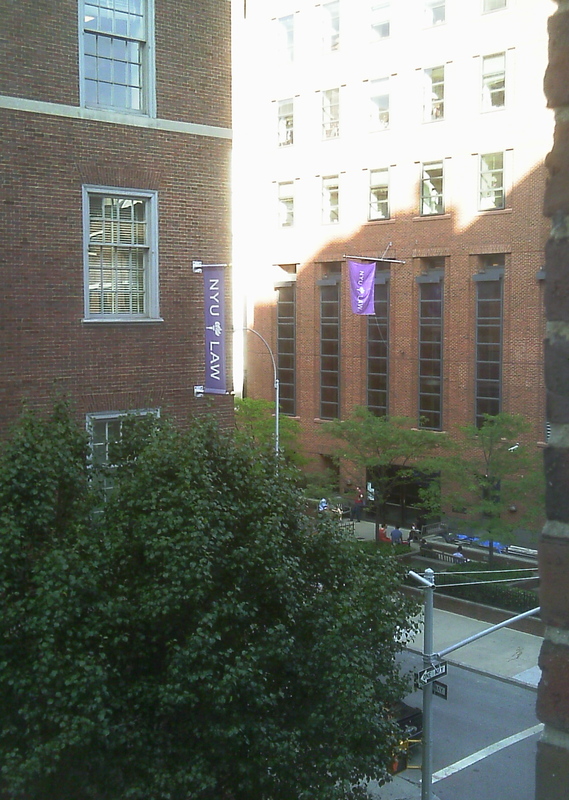 The purple NYU Law and NYU flags in the second are ubiquitous in this part of the city, and how I knew I was close to home the first couple days I was here. View from my window, across the intersection. I have one class in that building. This is a (poor quality… sorry!) 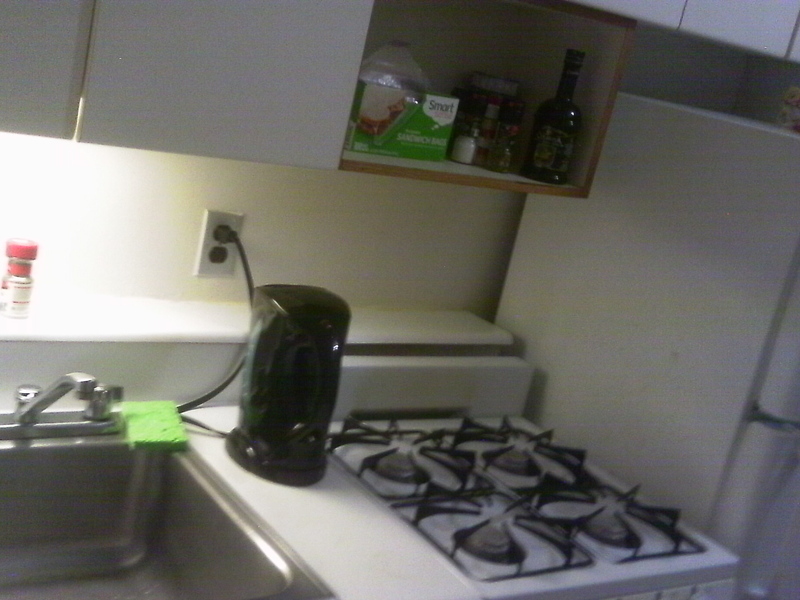 photo of my kitchen. The burners aren’t abnormally large, the stove is just that small. Our teeny-tiny stove and kitchen. Note how close the burners are to each other. 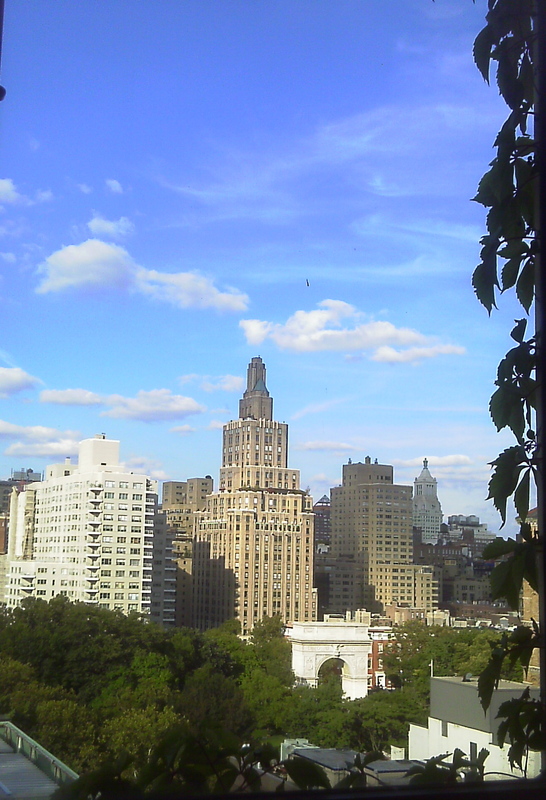 These last four are some pictures of the view from the terraces on my building – we have two! The 12th story one is right next to the laundry room. You can usually find people chatting or reading on the terraces. Sometimes you’ll find people drinking. The weather’s pretty nice right now (a little chilly for me, personally) but we’ve been trying to get as much use out of these as possible, before it gets too cold (even for people who aren’t from the desert). View from my building’s 14th floor Terrace. 14th floor terrace, different view. 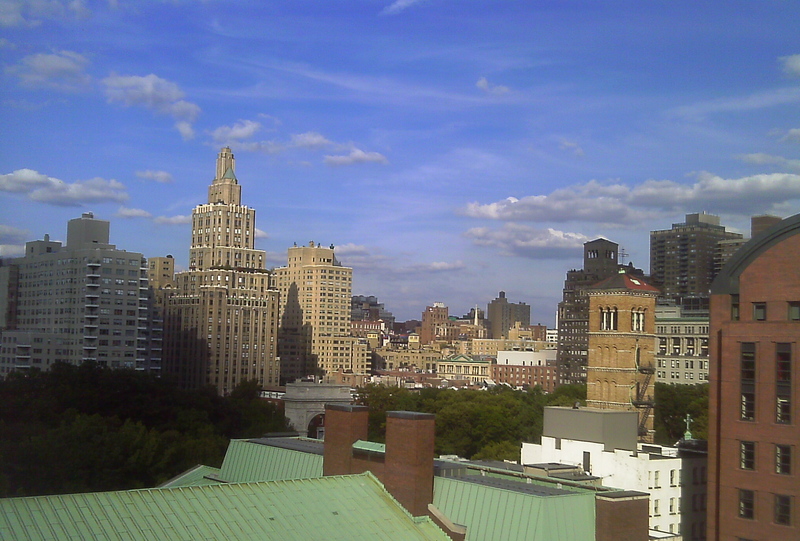 View from my building’s 12th floor terrace. 12th floor terrace, alternate view. 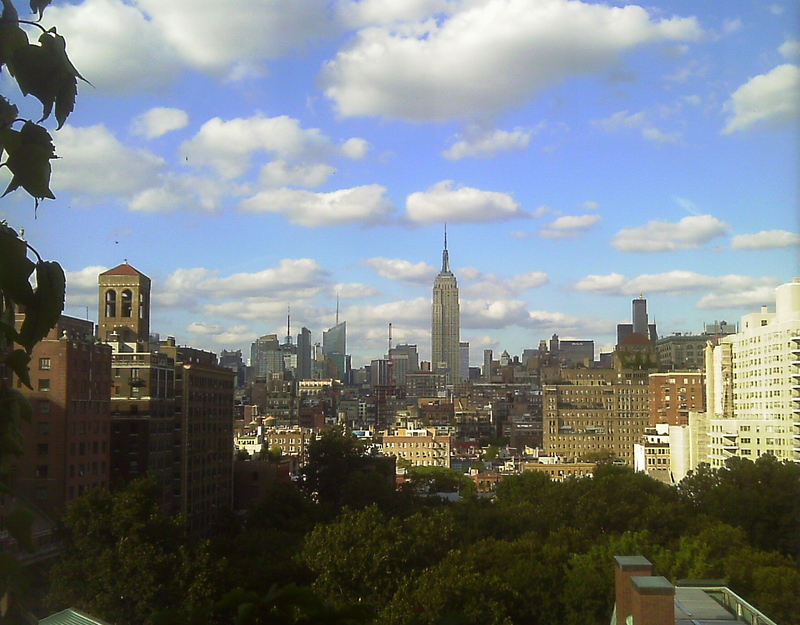 September really is a nice time in New York. 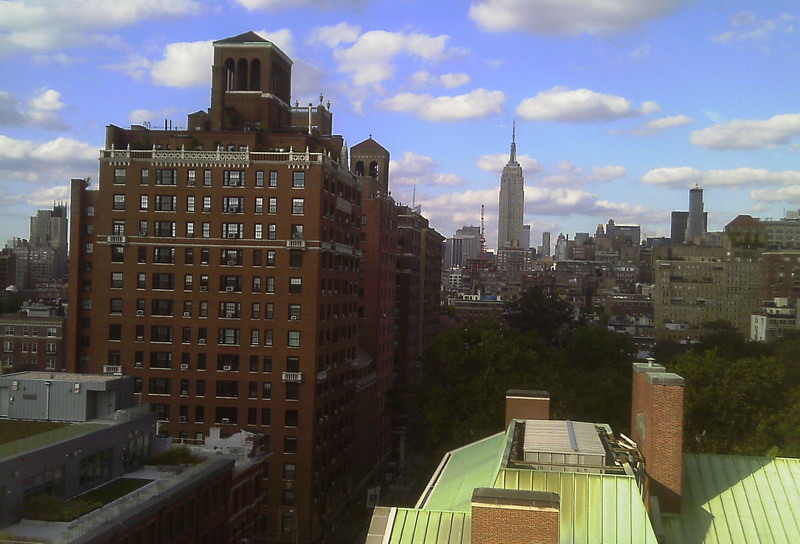 Those are some spectacular views of the Empire State Building and the Washington Square Arch. Yeah, our terraces are really wonderful. We’re all trying to use them as much as possible before the weather gets bad, but right now, it’s just fantastic.